Diary Of A Special Needs Mum Initiative > 30 days in Hungary > What next? Currently, I have a lot on my plate. Each day I learn to prioritize; I am still learning. Yes, family comes first but there are days I lock myself in a room to get my job done or to have a ‘me’ time. Writing a home exercise plan for Nimmy and following up to ensure we daily carry it out is paramount. Consistency, they say in therapy, is everything. 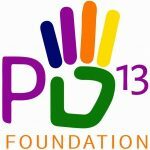 P4:13 Foundation is working with a bigger foundation to change the way inclusive education is conducted in Nigeria. Currently Lagos State runs inclusive education in thirty-one public schools. We have chosen one primary school as a pilot run. 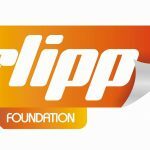 P4:13 Foundation is also working with a top media house to change the face of disability management in Nigeria. School fees are as cheap as N10,000 ($27) per term yet some parents are unable pay. The fees can be paid to the school directly.